Learn about Munich Central Station? Travel the world this holiday season and take part in some of the most festive things to do this Christmas. Things to do around the world this Christmas. Opens in a new window. Room clean and neat. Wished there was a refrigerator in the room. 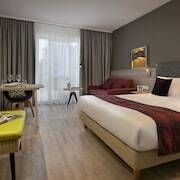 very nice property with excellent staff. Breakfast is rather expensive even though it is a very good buffet. 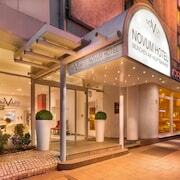 Where to find Munich Central Station hotels near an airport? 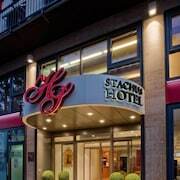 Where can I find hotels in Munich Central Station that are near tourist attractions? Choo choo! Do you hear that? It’s the sound of adventure speeding down the railroadtracks. 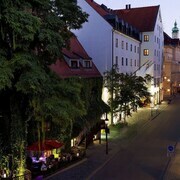 And it’s easier than ever to climb aboard that adventure train and see the world when you stay at one of the hotels near Munich Central Station. Whether you’re looking to ridethe train to marvel at the local attractions or visit your relatives all around town, your hotel will conveniently place you in the heart of this city’s transportation hub. With easy access to the railway, you don’t have to worry about getting behind the wheel or flagging down a taxi to get to where you want to be—simply zip over to the train ticket booth and get ready to ride. 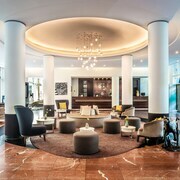 Browse through our selection of cheap deals on Munich Central Station hotels here at Expedia.com to find lodging that best suits your travel desires. Looking to explore the area with your pals during your next vacation or want to see the local sights between business meetings? 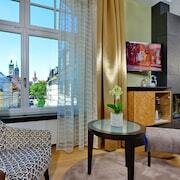 You’ll come across a place near the transportation center that accommodates your preferences and price range. When you book one of these hotels, you’ll save a ton of cash and have plenty of leftover money to spend on your train travels. All aboard! Don’t wait any longer, reserve your hotel near the station today. 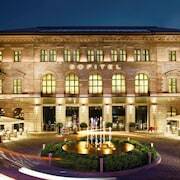 What are the most popular Munich Central Station hotels? 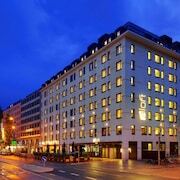 Are there hotels in other cities near Munich Central Station? 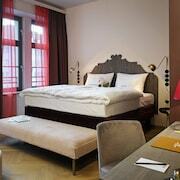 What other types of accommodations are available in Munich Central Station?